Day after Urjit Patel quit from the RBI governor's post citing personal reasons, Shaktikanta Das was appointed as the new RBI Governor on Tuesday. Das has been appointed as the RBI Governor for a period of three years. He will be the 25th Governor of the Reserve Bank of India. He is a retired IAS officer of Tamil Nadu cadre, 1980 batch. Top officials from the US and China have begun talks to sort out their trade differences, in particular to identify steps that address the concerns of US President Donald Trump on intellectual property and reduce the balance of trade, a media report said. About two weeks ago, Trump and his Chinese counterpart Xi Jinping met in Argentina on the sidelines of the G-20 Summit. During their dinner meeting, the two leaders agreed to come out with a solution in the next 90 days. Till then, Trump agreed to give a pause to his additional import tariffs on Chinese products. A top executive of Chinese telecoms giant Huawei Technologies Co Ltd was granted bail by a Canadian court, 10 days after her arrest in Vancouver at the request of U.S. authorities sparked a diplomatic dispute. 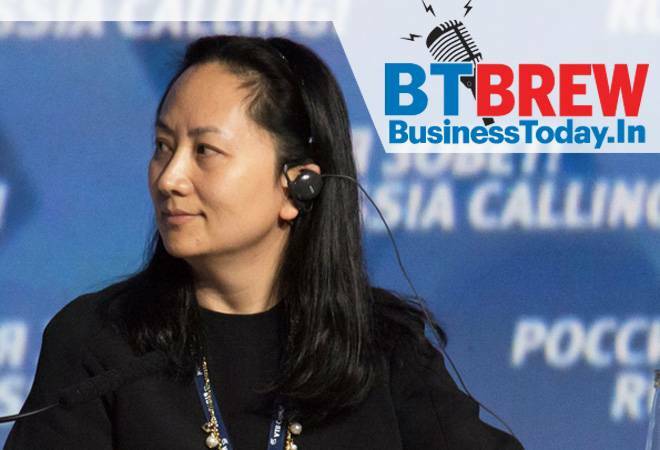 Meng Wanzhou, Huawei's chief financial officer and the daughter of its founder, faces U.S. claims that she misled multinational banks about Iran-linked transactions, putting the banks at risk of violating U.S. sanctions. In a court hearing in Vancouver, British Columbia, the court granted bail to Meng, who has been jailed since her arrest on Dec. 1. The rupee fell in early trade today after the dollar hit a near one-month high against its peers, supported by a rebound in US yields and weakness of the pound as its battering from uncertainty about Brexit continued.The dollar index compared with a basket of six major currencies stood at 97.420 after rising overnight to 97.545, its highest since November 13.The Indian currency fell 17 paise to 72.02 compared with its previous close of 71.85 against the US dollar. Country's largest lender State Bank of India (SBI) Tuesday said extradition of fugitive liquor baron Vijay Mallya from the UK to India will speed up the recovery of over Rs 9,000 crore of loans. In a major boost to India's efforts to bring back Mallya, who is wanted for loan default worth around Rs 9,000 crore to a consortium of 13 banks led by SBI, a UK court Monday ordered his extradition. Dozens of top fashion industry firms have pledged at the UN climate talks to reduce their combined greenhouse gas emissions by 30 percent by 2030. Industry giants joining the UN-led initiative include Adidas, Burberry, Esprit, Guess, Gap, H&M, Hugo Boss, Levi Strauss, Puma, Gucci among others.The 43 firms have agreed to prioritise "climate-friendly" materials and low-carbon transport, and to stop installing coal-fired boilers at manufacturing sites from no later than 2025. The Competition Commission said it has approved Zydus-Cadila's deal to acquire Heinz India consumer wellness business that includes popular brands like Complan and Glucon D. Zydus Wellness jointly with Cadila Healthcare had signed definitive pacts to acquire Heinz India for Rs 4,595 crore that includes net working capital of Rs 40 crore, cash of Rs 15 crore and assumes no debt.